Routine check in an internet cafe in Pune, India, after a few days gap. That’s weird: there are ten emails showing in my inbox from my record company New Earth Records in America, with „Paul McCartney’s Office“ in the subject field. I open them up to find each one getting more and more anxious because they’ve been receiving repeated calls from Paul’s office wanting me to contact them urgently. So it’s into an Indian STD phone booth to make an international call to a UK number. Very respectful female voice answers: „Would you be available to play a private concert for Paul?“ „Could you play the songs from your CD ‚Celtic Ragas’? “„ Would you be available some time in June this year?“ I mean, is the Pope a Catholic? Yes to all three of course. The news spreads fast once I’ve asked my favourite Osho Resort musicians to join me. I’m getting lots of offers too from hopeful roadies! I call Vidroha Jamie (co-creator of ‚Celtic Ragas’) at his home in USA and it takes some time before he’s convinced I’m not pulling his leg. Waduda at NER agrees to act as my agent and negotiate fees and conditions etc, on condition that she and Bhikkhu can join us for the event. 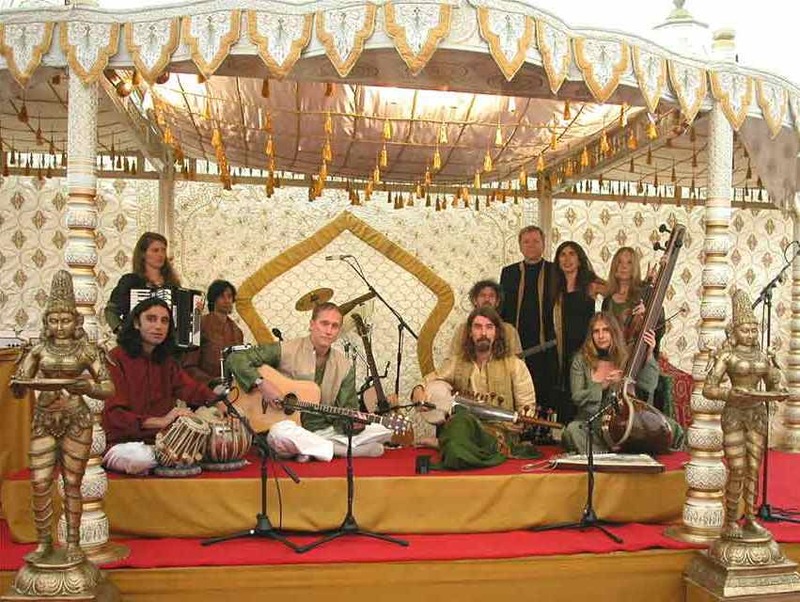 We have assembled a band capable of playing the music: Jamie has flown in from USA; Manish Vyas (tabla), my partner Naveena Goffer (tanpura) and I (sarod) from India; Sadhu Bolland (accordion and keyboards) from Holland; Ramadhan Suissa (drums) from Israel; while Prabodh (bass) and Tanmayo Devi (violin) are anyway based in UK and come by car. 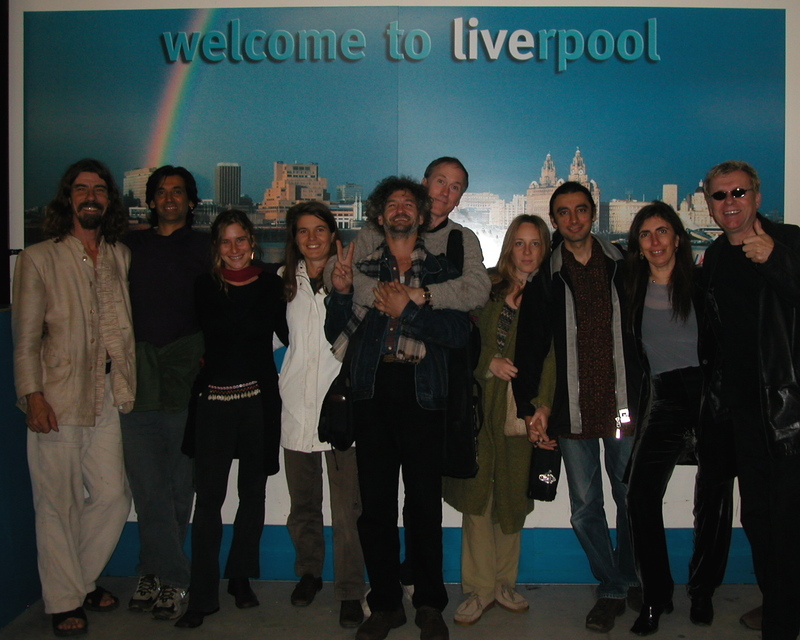 Apart from being required to be at the airport in the northern British city of Manchester on 10th June, we have been told almost nothing and have no idea what we are going to be playing for or where (although our wet dreams of a gig in the Caribbean are somewhat undermined by the choice of airport!). We rehearse at the home of friends for a week, and then drive to Manchester to meet up with Bhikkhu and Waduda from NER. At this moment the news breaks on TV that it is a wedding we are playing for, and that it will take place in Ireland. We are put up in a hotel in Belfast, heavy with security forces dealing with the sectarian ‚troubles’, and are then bussed down for soundcheck across the Irish border to Castle Leslie, whisked through heavily-guarded gates and into a marquee in the castle’s extensive grounds. For musicians used to the Osho Resort this must be the best soundcheck ever (everything is ‚yes’). Then back up to Belfast. The marquee and our stage have been decorated with an Indian theme and there are huge bunches of flowers amongst paisley-patterned recliners. British Indian caterers feed us snacks while we wait apprehensively on stage. Suddenly there is the man himself, putting his head round the entrance and giving us a quizzical ‚thumbs up’ sign and asking if everything is OK. Then he’s gone (the marriage service in the castle’s chapel is about to begin, we hear) and we resume our nervous wait. We’ve been told to play for no more than 45 minutes, and as well as material from the Celtic Ragas CD, I’ve composed a nice uplifting number which we plan to play when bride and groom enter. We strike up as the crowd surges through the entrance, Paul and Heather in its midst. Between paying attention to my playing I have time to catch a few famous faces milling amongst a very ordinary-looking wedding crowd as they snack and drink. For Paul it’s back slapping and congratulations time and so just two people pay the music any attention at all: one is the new bride Heather, sitting with a girlfriend at the front, and the other British Indian world music producer and DJ Nitin Sawhney, who drinks in everything we play. Our forty-five minutes are soon up, but the reception is still in full swing. What are we supposed to do now? Suddenly there is Paul in front of the stage. „Guys, I haven’t heard a note! Can you start again from the beginning?“ We start up the opening number but he cuts us short. „No, can you play the one that goes….“ and he hums the melody of ‚Chance Finding“ (the first track on the Celtic Ragas CD). Sure we can! And a delighted Paul starts laughing and dancing in front of us. Now the crowd starts to pay us attention too. „Go on! Go on!“ Paul tells us whenever we end a number. Advisers are whispering urgently in his ear and obviously trying to get him to move on to whatever comes next in the arrangements, but he doesn’t heed them until we’ve run through the whole set again. Off stage, Paul is very interested to know about the band and how it formed in India (‚especially for this occasion’ I have to admit). „Heather and I were in a little gift shop in Ireland a year ago,“ he tells me. „There were four of five CDs there ‚Celtic Roots’‚ Celtic Zen’ etc and yours. I was intrigued. Since then we have your CD on almost continuous play at home“. I present him with a new version of ‚Blackbird’ I have recorded; he makes a point of introducing me to Nitin and to the electronica music producer Youth, and then he is away to spend time with his guests. After a while Paul joins us briefly but all too soon bride, groom and guests are being hurried out of the marquee and we too must depart. We sign no-disclaimer forms as we board the coach and are taken off to a big meal at a restaurant miles away (no stopping at the local pub outside the castle gates to celebrate, I note sadly, because spreading gossip is obviously not in order and from a walk in the village street the day before I know the place is packed with press, eager for news). Then it’s back to Manchester via Belfast and Liverpool’s ‚John Lennon International Airport’. Separating after a lunch at the Radisson Hotel, we are all pinching each other because it feels like we must have been dreaming. 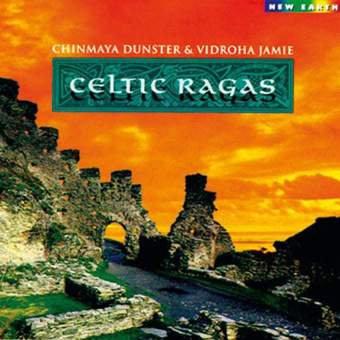 Next month Paul was kind enough to write the following about the ‚Celtic Ragas’ CD.